Licensing is deeply connected to your overall brand strategy, and it must tell the same brand story to your consumers, as well as new buyers of the licensee’s products, as your own internal messaging reflects. Failure to do so disconnects the consumer from your brand and leaves your loyal consumer confused. 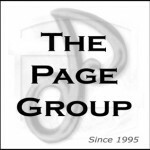 The Page Group begins by first understanding the role of licensing with respect to the clients brand. We need to first understand the strength of the brand, core brand attributes, and the overall client brand relationship before ever moving forward in strategically developing a licensing strategy. Next, we believe that licensing must then be built into the overall business plan of the company. It must also have its own executive summary focused intently on the overall objectives to be received through licensing your brand, and how the corporations core brand attributes must be reflected through the development of license’s and the identification of potential licensee’s. Develop Global Licensing Strategy tied to brand strategy.